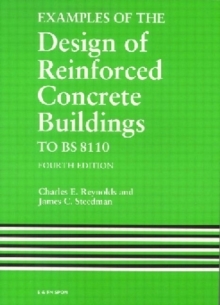 This classic and essential work has been thoroughly revised and updated in line with the requirements of new codes and standards which have been introduced in recent years, including the new Eurocode as well as up-to-date British Standards. It provides a general introduction along with details of analysis and design of a wide range of structures and examination of design according to British and then European Codes. 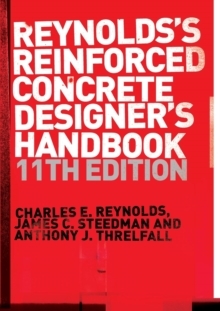 Highly illustrated with numerous line diagrams, tables and worked examples, Reynolds's Reinforced Concrete Designer's Handbook is a unique resource providing comprehensive guidance that enables the engineer to analyze and design reinforced concrete buildings, bridges, retaining walls, and containment structures. Written for structural engineers, contractors, consulting engineers, local and health authorities, and utilities, this is also excellent for civil and architecture departments in universities and FE colleges.